HTC's standalone VR headset is set to leave China. Too bad it looks like it has its sights set on business applications. 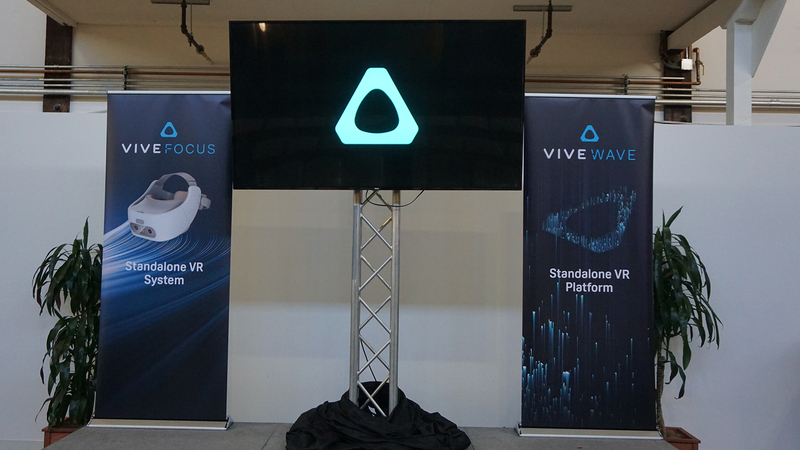 At an event in San Francisco, HTC announced that its standalone virtual reality (VR) headset, the Vive Focus, will be coming to 37 new territories, including the US and Europe. The headset will be available starting today in two incarnations: a base package that will sell for $599 (around £460, AU$825), and a Vive Focus with Advantage (HTC&apos;s version of Apple Care) for $749 (around £570, AU$1,000). HTC also brought its 6DOF (degree-of-freedom) Dev Controller Kits to the event, and says that they will be available in the coming year. Like the Oculus Go, the Vive Focus is a 6DOF headset that doesn&apos;t need a PC or a smartphone to work. Unlike Oculus, however, the Vive Focus won&apos;t set its sights solely on the games space and will instead include industrial and educational applications to teach employees on the job in a virtual environment. "It takes VR out of the hype cycle and into the practical use cases," says Dan O&apos;Brien, General Manager of HTC America. "And, that&apos;s great for VR." In terms of specs, the HTC Vive Focus will sport a 2,880 x 1,600 resolution (1,440 x 1,600 per eye) and a Snapdragon 835 processor. The headset will use an SD card slot for expandable storage with up to 2TB of memory and contain built-in speakers with a 3.5mm auxiliary jack for those who want to use their own headphones. Part of a pivot to enterprise? While HTC&apos;s PC-based VR headsets, the HTC Vive and HTC Vive Pro, seem to be squarely focused on gaming – thanks to a software partnership with Steam – HTC is playing up the Vive Focus&apos;s industrial applications. During the event, for example, HTC announced Android encryption and Kiosk Mode. The former allows for developers to password encode individual headsets while Kiosk Mode allows them to wipe the headset after each use. Vive Sync, another new feature that was debuted today, is HTC&apos;s enterprise VR collaboration tool. It will support up to 20 users at once in a virtual space and allow them to collaborate on a project. Pursuing enterprise VR customers could be a risky venture for the company but, considering how crowded the gaming space is becoming with new devices from Oculus, Google, Lenovo and more, this move might work to HTC&apos;s advantage.